Burkitt’s lymphoma (BL), also called Burkitt lymphoma, Burkitt’s tumor, or malignant lymphoma, is a rare cancer of the lymphatic system, particularly of the B cells, accounting for about 0.3% to 1.3% of all non-Hodgkin lymphomas. The condition is named after British surgeon Denis Burkitt, who discovered the disease in African children and young adults. Considered to be the fastest growing tumors affecting humans, it may spread to various parts of the body. Impaired Immunity: It is often associated with a weak immune system, with the condition often detected in African children suffering from Malaria. 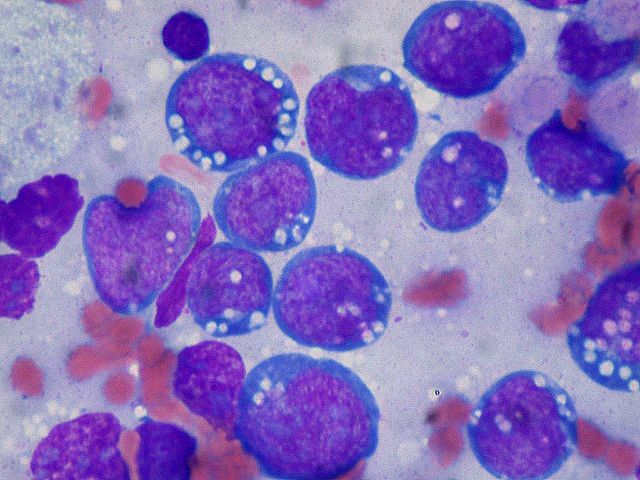 It is believed that BL occurs when malaria weakens the immune system’s reaction towards the Epstein-Barr virus (responsible for nasopharyngeal lymphoma, glandular fever and mononucleosis), such that the infected B cells are converted to cancerous cells. The mode of transmission of EBV is usually through saliva. Genetic Factors: It may have some other causative factors apart from an impaired immune system, like chromosomal translocation involving chromosome 8, which may alter the mode of expression of the gene, c‑Myc, thereby disrupting its normal function. This can lead to an unrestrained growth of B lymphocytes, resulting in the cancerous disorder. Endemic (African): Always associated with chronic malaria and EBV infection, it can affect the gastrointestinal tract, ovaries, breasts and central nervous system. Sporadic (Non African): May or may not be associated with EBV infection, and often involves the liver, colon spleen, bone marrow, brain or spinal fluid. Immunodeficiency Related: Usually associated with the intake of immunosuppressive drugs, such as those used for preventing organ transplant rejection or treating HIV and AIDS. Another endemic symptom involving the oral cavity comprises of fast growing tumors of the jaw (mandible), or some other facial bone that have a doubling time of 24 hours. It mostly occurs in children. The condition may spread to other body parts, leading to characteristic symptoms. Since the symptoms have a sudden onset, early diagnosis is required. After a physical examination, a biopsy of all or a portion of a swelled lymph node or other suspicious regions is done to confirm the disease. A microscopic view of the affected tissue reveals a “starry sky” appearance, typical of the condition. This is often the preferred treatment with a high success rate since it may successfully destroy most of the lymphoma cells. Also called CNS prophylaxis, this is carried out by injecting the chemotherapy drugs directly into the spinal fluid, since the condition may spread to the fluid that surrounds the brain and spinal cord. The drugs that are used in various combinations include cyclophosphamide (Cytoxan), doxorubicin (Adriamycin), cytarabine (Cytosar-U, Tarabine PFS), and methotrexate (Rheumatrex). Treatment with a monoclonal antibody called, rituximab (Rituxan), which gets attached to a protein CD20 present on the surface of cancerous B cells, that stimulates the immune system to destroy the damaged cells. In the case of intestinal obstruction, surgery is carried out. 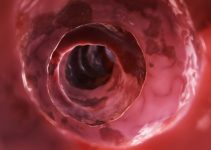 According to the findings of a new clinical trial, treatment with low-intensity chemotherapy may increase the survival rate of adult patients having BL. A patient is required to have monthly checkups after chemotherapy to detect if the lymphoma is relapsing or not. The rate of such checkups is decreased, if, at the end of six months, lymphoma does not recur. However, there can be long term side effects like reduced fertility and heart ailments. The outcome generally depends on the stage of BL at the time of diagnosis as well as the age of the patient. If the cancer has not spread, the survival rate is as high as 90% for both adults and children. However, the outlook for elderly patients is usually poor. The condition rarely occurs during pregnancy, but has a poor outcome when it does. Though there are no known ways to prevent BL, certain lifestyle modifications such as reducing HIV infection risks in relation to the sporadic form, may aid in reducing the possibility of having the disease. The condition may also be handled naturally by maintaining a healthy diet consisting of sprouts, and green vegetables. Sporadic BL is rare in developed countries; about 1200 people in the US are diagnosed with the condition each year. Endemic BL, on the other hand, has a high incidence in Africa, accounting for about one-half of childhood cancers. The ICD‑9‑CM code of Burkitt’s lymphoma is 200.2, and the ICD‑10 code is C83.7.